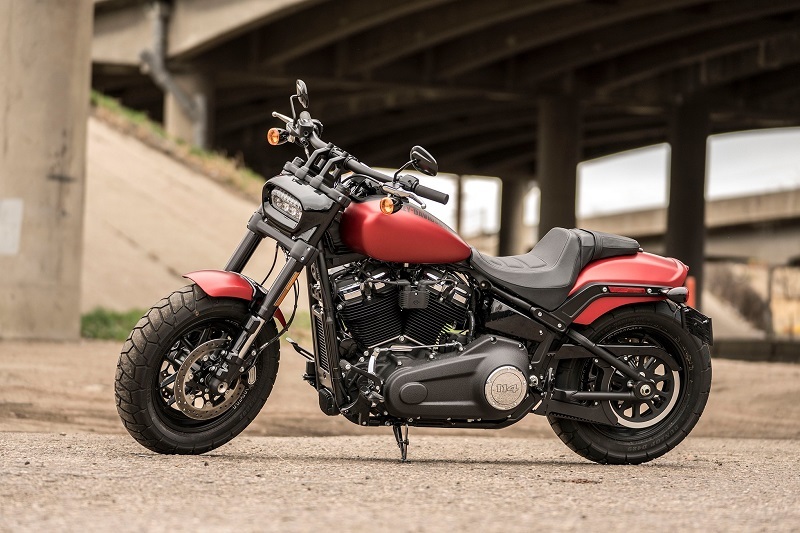 The 2019 Harley-Davidson Fat Bob is the motorcycle model to choose if you demand aggressive power from a bike that is loaded with individuality. The Fat Bob, which is also known as the Softail model FXFB, is a midrange Softail model that gives you the perfect combination of features and performance capabilities while offering true value. When you contact Harley-Davidson of Baltimore today, you can inquire about availability as well as standard and optional features for the Softail model FXFB. With a test drive, you may realize that the Fat Bob offers everything that you have been searching for in a new bike. Our sales team serving Columbia Westminster Bel Air Baltimore is excited to tell you more about the 2019 Harley-Davidson Fat Bob when you stop by the dealership soon. When you see the Fat Bob in person, you will notice that it has a standout look thanks to its cast wheels, fat wheels and exciting finishes with contrasting color elements. At the front end, the rectangular LED headlight has rounded corners and a matte black frame. Its rectangular shape differentiates it from many other Harley-Davidson models on the road and makes the T-shaped handlebars stand out. Chrome brake grips on the handlebars as well as matte gold exhaust features add contrasting color to the black powertrain features. 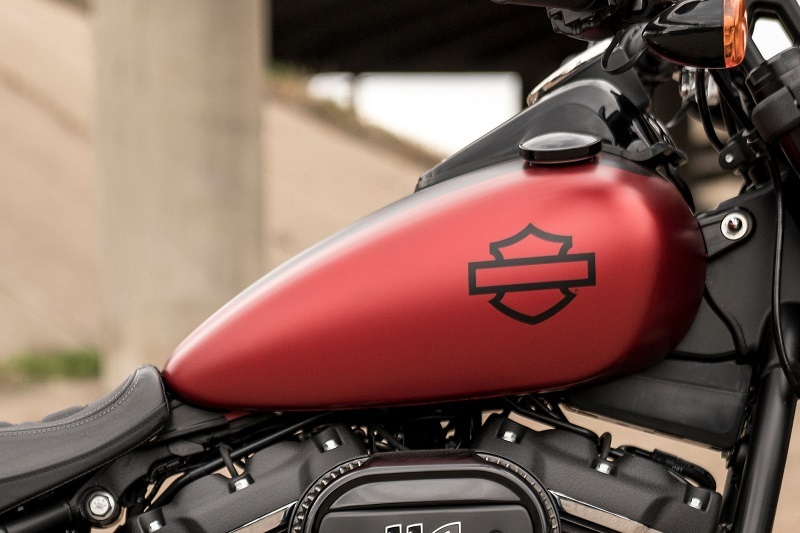 The signature Harley-Davidson logo that is emblazoned on this brand’s models has been replaced with a modern logo shape that lacks lettering and that gives the bike a modern feel. The firm, black seat has a modest back for support as well as a modified seating area for a passenger. Wheel fenders are minimal to show off the fat tires. Some of the color choices available include Bonneville salt denim, scorched orange with black denim accent, rawhide denim, black denim and others. The best way to gain full appreciation for individualized design elements of the 2019 Harley-Davidson Fat Bob near Columbia is to stop by our dealership for a test drive soon. The Softail model FXFB has all of the modern features that you are hoping to find in a new motorcycle without tacking on extras, and this ensures that you can enjoy an unspoiled and exhilarating ride each time you cruise down the road. The gauge panel features an analog tachometer as well as digital readings for the clock, trip, range, gear and speedometer. The bike also comes with a security system, optional anti-lock brakes, a low oil pressure indicator, turn signals, high beam headlights, a low fuel indicator and a low battery voltage indicator. Keep in mind that many additional options and accessories can be added to the new Fat Bob to give you the exact experience that you desire, and our helpful sales team serving Columbia Westminster Bel Air Baltimore can help you to explore the many options available to choose from. When you ride on the 2019 Harley-Davidson Fat Bob near Columbia, you can appreciate engineering at its finest. This innovative bike is powered by a Milwaukee-Eight 107 powertrain that features a dual side exhaust pipe with a catalyst in the header as well as electronic sequential port fuel injection. An alternative 118 engine is available as an upgrade, and it offers more power with similar supporting components. The engine’s exposed cast aluminum exterior is in denim black and features laser-etched graphics. The powerful engine is controlled by a 2-piston floating rear brake and a 4-piston fixed front brake. 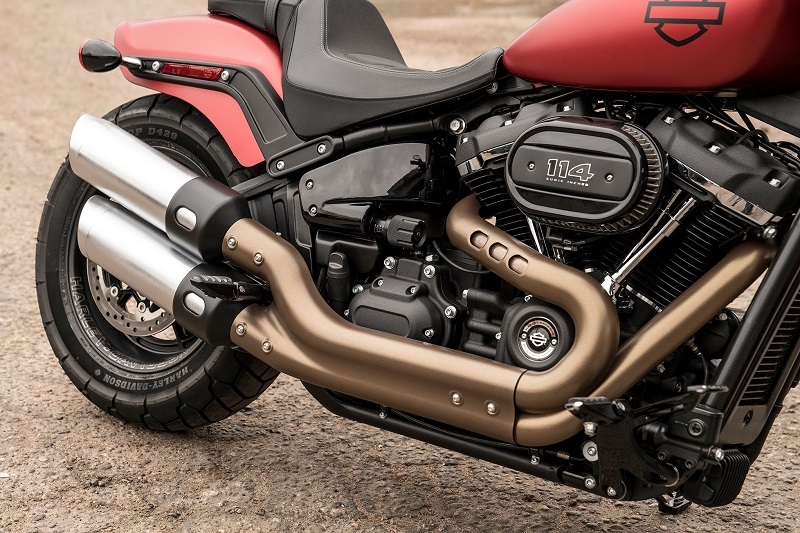 An inverted racing fork as well as a well-designed suspension add to the exceptional on-the-road capabilities of the 2019 Harley-Davidson Fat Bob. Hopping on the 2019 Fat Bob is the perfect way to experience this bike’s exceptional engineering for yourself, and our friendly sales reps are available to answer your questions as you make your bike selection. Contact Harley-Davidson of Baltimore to schedule time for a test drive of the new Fat Bob. The 2019 Harley-Davidson Fat Bob near Columbia is a bike that is designed to get attention on the road. While this model has undeniable style, you may want to customize it for improved functionality, extra comfort on the road or unique style. At our dealership serving Columbia Westminster Bel Air Baltimore, you can select from a wide range of accessories that are designed specifically for the 2019 Fat Bob. You can also order parts online at your convenience. Some of these parts include cannon mufflers, a street tuner, an exhaust shield, rear axle nut covers, brake pedal pads, foot rests, handle grips, extended handle bars, customized mirrors, several finishes for the light surrounds, transmission covers, cam covers, several seat options, windshield kits, saddle bags, storage packs and much more. When you stop by our dealership to check out the 2019 Fat Bob in person, one of our sales professionals will assist you as you explore the customization and upgrade options. 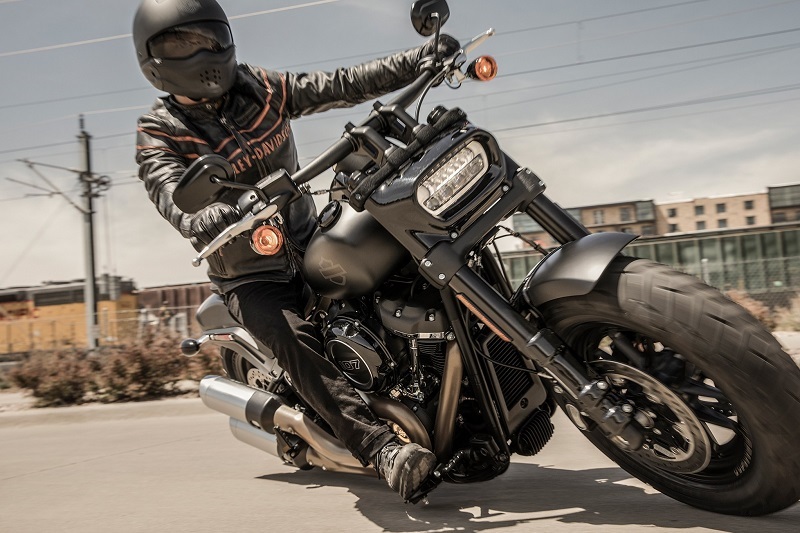 The Fat Bob for 2019 is a Harley-Davidson bike that perfectly combines modern individuality with iconic style and undeniable performance, and it may offer all of the elements that you are looking for in your next motorcycle. This is a model that you need to see in person and test drive in order to gain full appreciation for its capabilities. Contact Harley-Davidson of Baltimore to get more information about the new Fat Bob from our sales team and to get on road for a test drive.